Two university students spend their spring break cleaning up debris left behind from Hurricane Katrina. 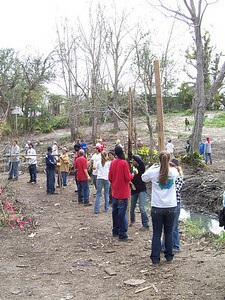 They are participating in 'What a Relief', an opportunity for students and others in campus communities to help survivors of the 2005 hurricane season recover. 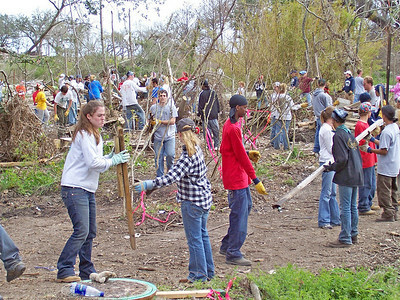 College and university students form an assembly line to remove debris left behind from Hurricane Katrina. 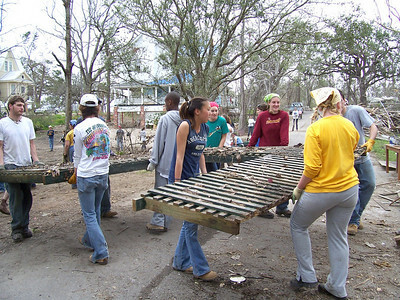 They are participating in 'What a Relief', an opportunity for students and others in campus communities to help survivors of the 2005 hurricane season recover. 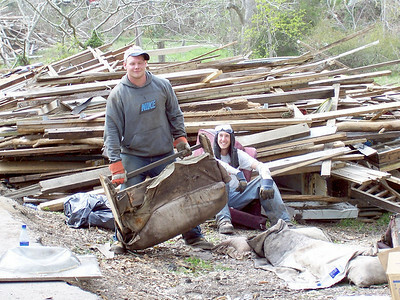 College and university students team-up to remove heavy debris left behind from Hurricane Katrina. They are participating in 'What a Relief', an opportunity for students and others in campus communities to help survivors of the 2005 hurricane season recover. 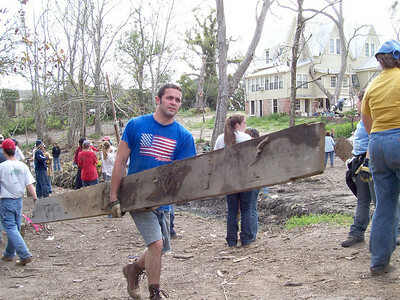 A university student spends his spring break clearing up debris left behind from Hurricane Katrina. 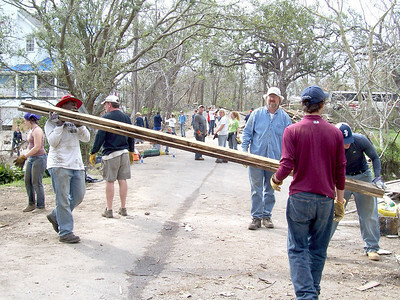 He is participating in 'What a Relief', an opportunity for students and others in campus communities to help survivors of the 2005 hurricane season recover.